Renee Podunovich, MA, is a lisensed professional counselor and freelance writer. She lives in southwest Colorado. Podunovich’s poems were nominated for a Pushcart Prize in 2010 and 2011. Her most recent publications include Mississippi Review, Boston Literary Magazine, FutureCycle Poetry, Caper Literary Journal, White Whale Review, The View From Here, RATTLE and SW Colorado Arts Perspective. Her first book of poems “If There Is a Center No One Knows Where It Begins” was published by Art Juice Press in 2008. Writer Cynthia West said of the book, “Podunovich’s visions are transparent panes allowing the reader the warmth and light of a larger view. She returns from journeys beyond the daily world with medicine which explodes in us ‘with no limits, other than the filter of our hearts’. Her passionate words form conduits through which we can meet our higher selves”. 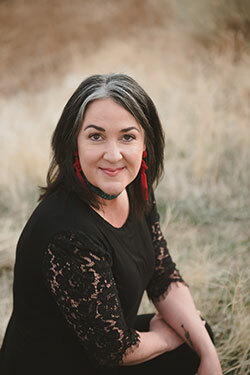 Renee believes that poetry is a language that encourages us to transcend our constricted sense of self and connect to our essential nature within and the spirit of the world around us. Poetry can both express the inner life and bring deeper insight into the mundane. Renee facilitates poetry Well Writing: Wordcraft for Discovery, Wholeness & Connection workshops that are designed to use creative writing as a tool for centering, reflecting and for personal growth. www.ReneePodunovich.com or www.ReneePodunovich.blogspot.com.